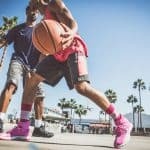 Whether you’re warming up before the game or hooping with some background noise at the park, basketball and music are certainly connected. Just look at the popular 2K series. The last several years of the game have included a specially curated playlist to accompany your digital basketball dreams. But what about real life? 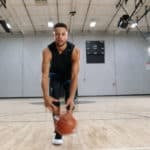 From television NBA themes to songs written about balling in the championship, countless artists have used the hardwood as inspiration for their music. So, without a doubt, here are the ten best basketball songs of all time. Listen to them while you’re getting ready for the big game and need a confidence booster. Turn them up when you’re feeling nostalgic for days of basketball past. No matter what, don’t forget that this game is much more than a game… it’s a culture. If you live for the big moment, then this song is for you. From Lakers player Ron Artest, we love the first hand nature of the lyrics. Still, they remain relatable for any basketball player both on and off the court. Arguably one of the best rap tracks by an NBA player ever (yes, Lonzo, we’re looking at you), "Champions" focuses on the biggest and brightest moments of the game. Game 7, raising banners, and hitting the buzzer beater are all found within the catchy beat of this song. We told you NBA2K soundtracks have featured some of the best. Interestingly, this song is often dubbed the best on the 2K11 playlist. Let’s not ignore the fact that it was released on the heels of a Lakers championship season over the Celtics. To commemorate the iconic rivalry, Ron Artest gave us one of the best basketball songs ever. When a past NBA player holds the title of best at something, you already know Shaq has something to say about it. Whether you know him best from TNT pregame or remember him playing on the court, there’s no denying Shaq is one of greatest of all time. A lot of people don’t know he also had a rap career on the side. Though it never fully blossomed, we at least got this gem. Shaq isn’t a modest person so we wouldn’t expect anything else from his music. Aptly named, “I Know I Got Skillz” highlights just a few of the big man’s. Our favorite line “all you jealous punks can’t stop my dunks.” Of course, a subtle roast on Charles Barkley because the two can’t stop going at it. Not even from the broadcast desk. And we still love the rivalry. So if you need a song to remind you how sick your skills are, you know where to find it. If this song sounds familiar to you, think about it for a second. Maybe it’s because it comes from a movie with the same name. Hailing from the Spike Lee Joint film, this song makes you think about life both on and off the court. As a high school hoops sensation played by Ray Allen goes through every trial imaginable in the week before his college singing day, we get an insightful look into his world. It’s also a look at some flaws of big basketball including the recruiting process and the NCAA. Fortunately, this song is here to remind us that we all got game. It might look different than someone else’s but we do indeed all have game. Interestingly, Public Enemy did not just this song for He Got Game but the whole soundtrack. So, if you like this one, you’re probably going to be a fan of the whole movie and its music. This song isn’t specifically a basketball song but it had to be on the list. It is simply one of the most motivating songs ever created and deserves to make the list of best sports songs no matter who’s curating it. It reminds us with each verse that attaining greatness is all about putting in that hard work. In fact, it’s ten percent luck, twenty percent skill, fifteen percent concentrated power of will, five percent pleasure, fifty percent pain. But at the end of the day you’ll give everyone 100 percent reason to remember your name. Go give this song a listen and tell us you aren’t ready to get your sneakers on and hit the court or the gym to get some work in. With this ultimate motivational song blasting in your headphones, you’ll be ready to put in the blood sweat and tears needed to be great. First, let’s take a moment to see the lyrical masterminds at work on this track… Drake, Lil Wayne, Eminem, and Kanye. Then, if you take a look at the music video on YouTube you’ll see that it has almost a quarter of a billion (with a B) views. In that video, we see a young Lebron make an appearance. Okay, now that we know the star power this song has, we can move on. “Forever” is a timeless classic that you’ve definitely heard if you don’t know it. There are Space Jam, Obama, Vegas, and Ferris Buller references throughout. Meanwhile, the combo of some of the world's greatest rappers makes the song catchy, powerful, and one that you'll want on repeat. If you’re looking for a perfect song to get your cocky attitude on right before the game, this is the one to go with. It has everything you could ever want in a rap track and is perfect for aspiring ballers as they chase greatness. You guys, we’ve told you… Space Jam is going to make the list. You should be expecting it by now. If you think Michael Jordan playing basketball with Looney Toons characters is ridiculous then you should probably leave. Of course we all love this movie and the theme song is just as cool. You’ve probably never heard of Quad City DJs outside of this song and you might never hear about them again. But they definitely nailed this one. It has the all the 90s vibes we know and love from this movie and blends the lighthearted nature of the movie with the hype of basketball perfectly. This probably isn’t one you’ll jam to (pun intended) pre-game but it would be perfect for a pick up game playlist. 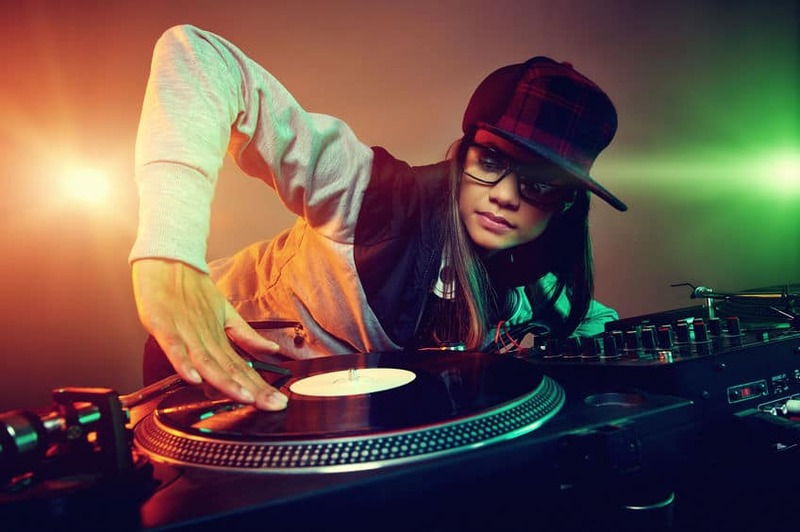 You might even find yourself speeding up your game to match the up tempo beat of the song. Careful though or you might get tackled by a giant animated alien. If you don’t have chills when this song comes on then you may have been a fan of any other NBA team in the 90s. Unfortunately, for all the other teams in the league, hearing this intro before a game pretty much equaled one for the L column. Sure, there are no words but the words of the in-arena announcer were enough to make everyone on the opposing team get weak in the knees. Can you imagine hearing that starting lineup? Now, NBA teams, collegiate teams, and high school teams alike are introduced to this iconic song. It will get your heart racing every time as the arena rises in unison to welcome you to the court. If you also love basketball then you’ll know what’s going on in the rest of the song. If not, you’ll probably get lost real quick. From references to offensive plays to all-time great players, this song has it all. The music video features number 1 Kurtis Blow playing some ball in the sky to avoid the crowds on the court. Maybe the NBA could feature a game on a blimp one day? Well, 2012 wasn’t exactly a time for groundbreaking ideas. Still, this song has everything necessary to include it on a list of the best basketball songs. In fact, it’s trying so hard that only Tim Donaghy could make the call to not include it. The Harlem Globetrotters are as American as apple pie. Along with telling you about this song, we’d like to supply you with an answer to a trivia question that is asked ALL the time. Who is the team that plays against and loses to the Harlem Globetrotters? Answer: The Washington Generals. You’re welcome. Now, this song out of context certainly doesn’t sound like a basketball song. In fact, it doesn’t sound like a song that should have made it out of the 40s when it was made. However, get it playing through the arena speakers and you’ll find yourself bouncing along with the ball. There’s simply nothing like watching it spin on a finger, get dunked, and be passed one too many times. The Globetrotters have made this song iconic and therefore it has earned a spot on our list. Serving as the theme for the NBA on NBC for countless seasons, many of us can remember sitting in front of a non-HD TV and getting excited for the game about to be on. Back then, the Warriors weren’t dominating, Lebron didn’t have a beard, and today’s NBA stars were still in school learning history and math. Even SNL did a skit based around this song. Yes, you read it right, they did a skit based around a song with no words. That goes to show that “Roundball Rock” is right up there with the best basketball songs of all time. Let’s also not forget that in 2008, the Olympics kicked their song to the curb to feature this one before basketball games to the delight of fans around the world. In fact, it could probably also make a list for the best theme songs of all time. Shame on you, NBC for robbing us of listening to this before all the NBA games. Nick Daniels has been involved in the game of basketball from a young age. A shooting specialist, he once finished 3rd in a state wide free throw shooting contest. Most recently, he coached a youth basketball team and continues to play weekly games of pickup hoops at his local YMCA. Nick started BestOutdoorBasketball.net in 2013. How Much Does a Backyard Basketball Court Cost? 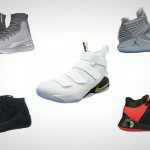 Nike PG3 Shoe Review: Paul George Is Breaking Out, Are His Shoes? Which NBA team has the easiest schedule in February? 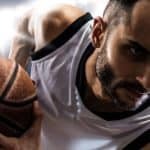 BestOutdoorBasketball.net is a participant in the Amazon Services LLC Associates Program, an affiliate advertising program designed to provide a means for sites to earn advertising fees by advertising and linking to amazon.com. | Amazon and the Amazon logo are trademarks of Amazon.com, Inc, or its affiliates. 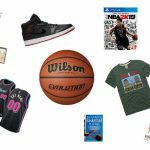 bestoutdoorbasketball.net is also part of several other affiliate sales networks. This means that many of the companies whose products you see listed on this site pay us referral fees for sending them customers for certain products of theirs.